Your new home awaits in this cheerful and bright 4 BR/2 BA on a quiet street. Peace and serenity is yours to enjoy as you lounge on your back patio and overlook your screen-enclosed pool and tranquil pond view with no rear neighbors! This home contains large Living and Family room areas with plenty of space for work, hobbies, and family. Multiple improvements include the newly remodeled kitchen (2018), master bath (2018), tile floors (2017), as well as a huge walk-in master closet, large pantry and laundry room. Other updated items included are the roof (2009), AC (2010), gutters (2018), and pool /patio remodel (2015). 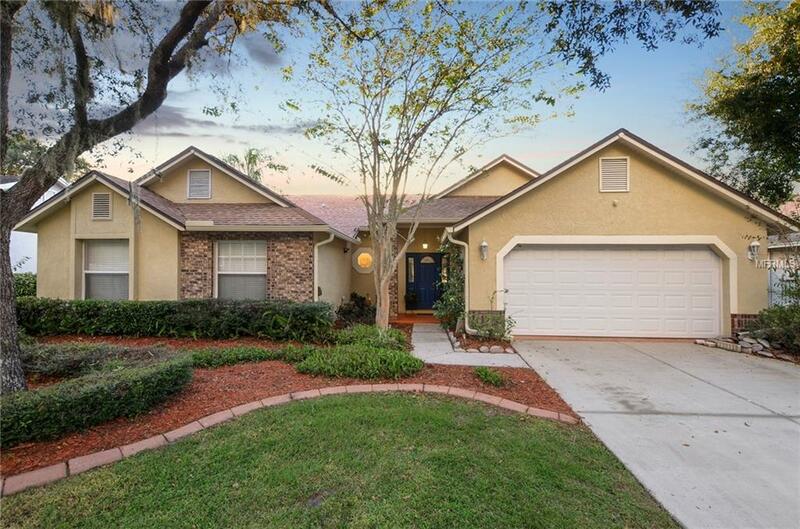 The home is conveniently located to the Crosstown, I-75, and the Brandon Mall, and is a quick 20 minutes to downtown Tampa. Call today to make this home your own!